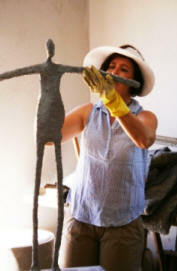 I offer two different sculpture courses: ferrocement, and a plaster maquette workshop. The workshops are held at my home studio on a farm in the Klein Karoo.This is off the N9 (R62), 30kms before Uniondale or 80kms from George. Transport can be organised to and from George airport. 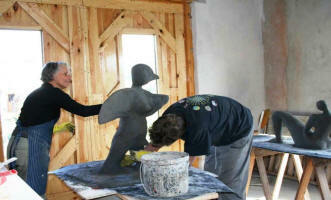 This is an interactive course, with comfortable accommodation available in my home and off the studio barn. Ferrocement is basically steel and cement. 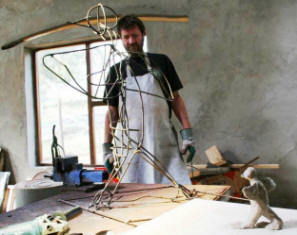 In this five-day course we make an armature with steel welded together, and learn about the different plaster additives,strengtheners, techniques and finishes. This sculpture medium is very durable, and this is a technique that has been used in sculpture for many years: it is even used to build yachts! I offer three grades of courses: a primary course for beginners, no form of art training necessary; an intermediate course for students that have attended the first course, where we explore more advanced sculptural form; and then an advanced course thereafter-creating a life-size sculpture. 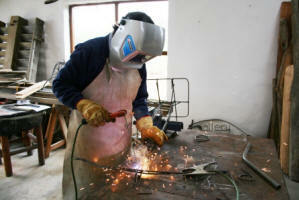 My ferrocement workshops are restricted to two students at a time so that I can guide you personally. 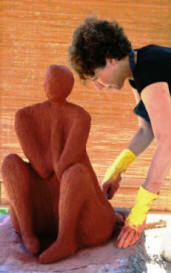 You will make a sculpture approximately 40 x 50 x 60 cm in volume and size. 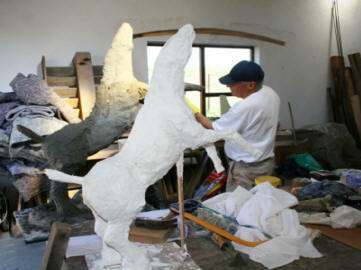 In this two day workshop we explore the making of a maquette. This is a small scale model or rough draft of an unfinished sculpture. You learn the importance of armature and different applications of building up of form. The maquette will be about 30 x 20 x 20 cm in volume, keeping it small enough to cope with the two day limit. Texture, three-dimensional form and different finishes will be learnt in this workshop. This maquette workshop is restricted to six students at a time. Please let me know what dates suit you as my dates are flexible.